Teddy Anderson offers a cultural performance that is beautiful, inspiring, and interactive. 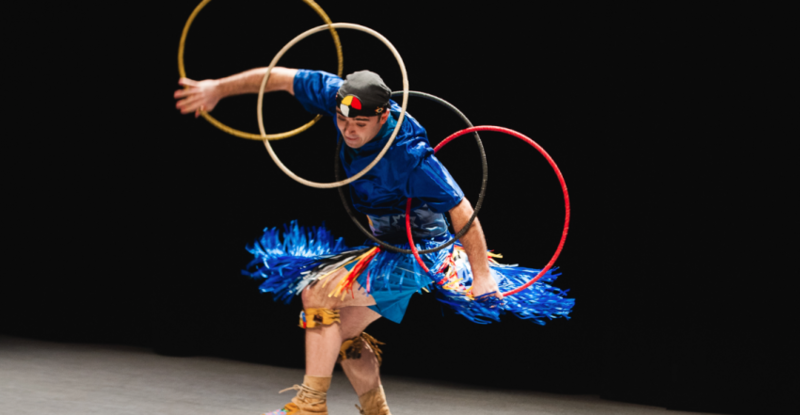 The performance begins with a native prayer, a song on the native flute, two hoop dance demonstrations, detailed explanations of the stories behind each dance, in line with a message of respect for all people. An audience participatory hoop dance as well as a question and answer period. Tickets may be purchased ahead of time at the Estevan Arts Council office and Henders Drugs.